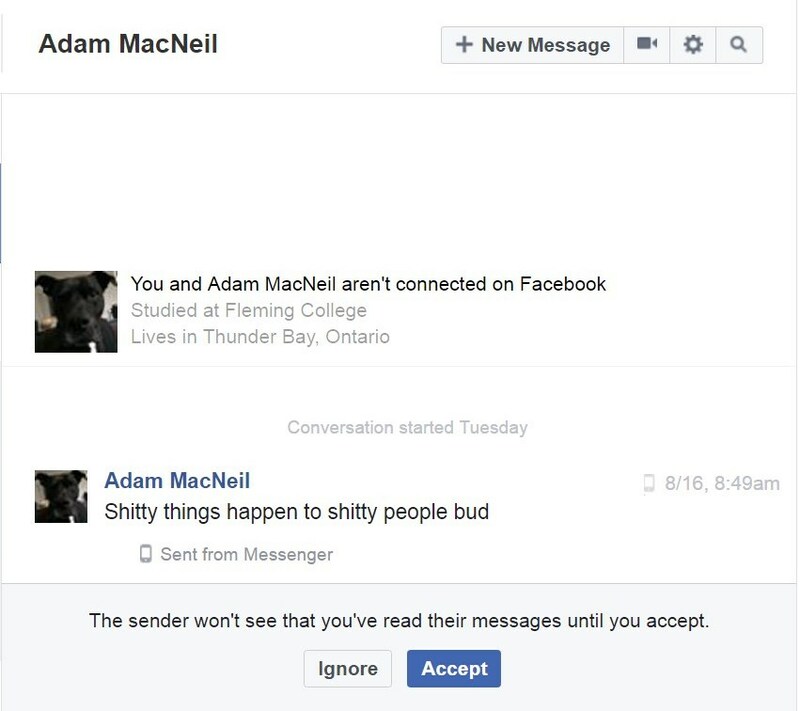 Send a message to Adam MacNeil on his Facebook profile and tell him it is unacceptable to harass people he doesn’t know on the internet. 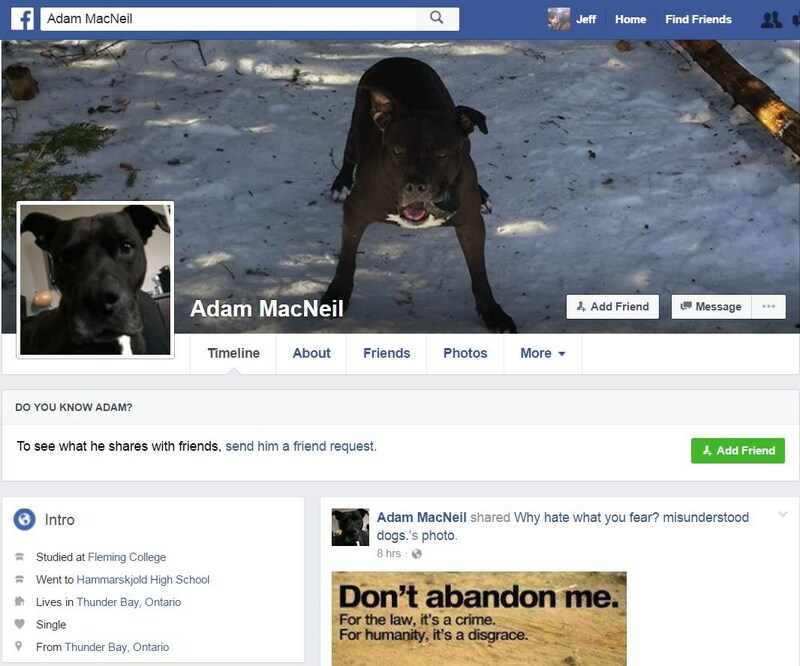 This entry was posted in hate mail and tagged Adam MacNeil, cyber bully, Daxton Borchardt, Fleming College, Hammarskjold High School, Hateful messages to pit bull attack victims, Ontario, Thunder Bay. Bookmark the permalink. 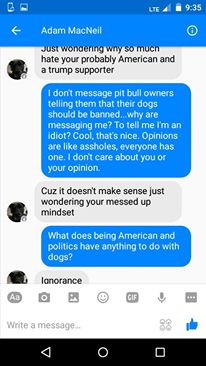 ← A Hilarious, One-Sided Conversation With a Pit Bull Advocate. Wow! 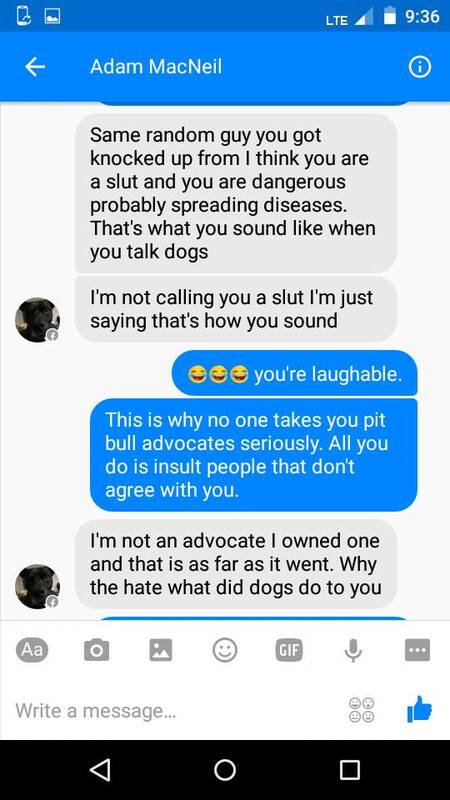 What a piece of garbage! Who do we know where he lives? Let’s make sure that people that know him are aware of this morally disturbed person. Thanks Jeff for sharing. People that are this reckless don’t need to be employed in certain professions (like with children). I’ll spread the word to people I know. Best wishes! I wouldn’t bother answering this type of person – it could just escalate dangerously. 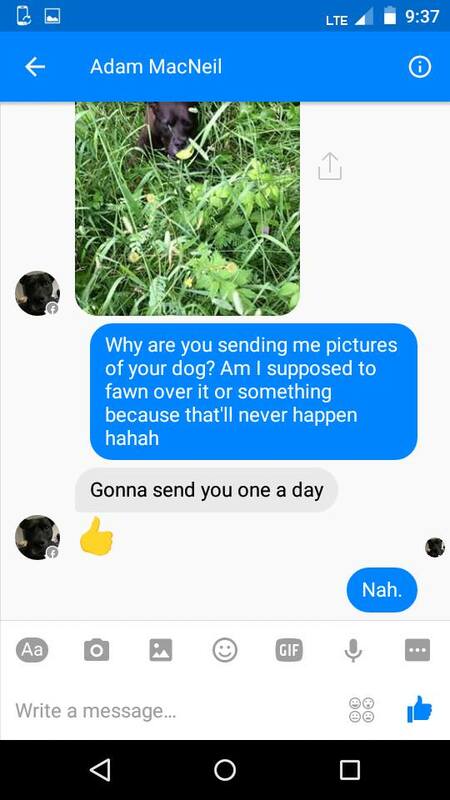 These people are insane. Please take care!